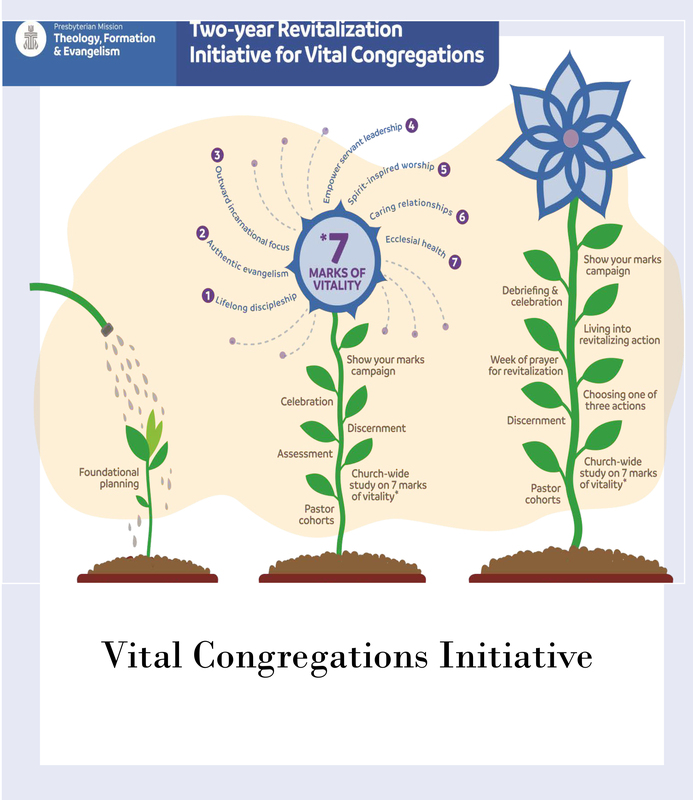 Vital Congregation is a process that brings mid council leadership & leaders of exsisting congregations togeather to assess, discern and live into faithful actions that change lives, transform congregations & spreads the mission of God. The resources below describe the Vital Congregations Initiative and its presence within the Presbytery of Lake Michigan. 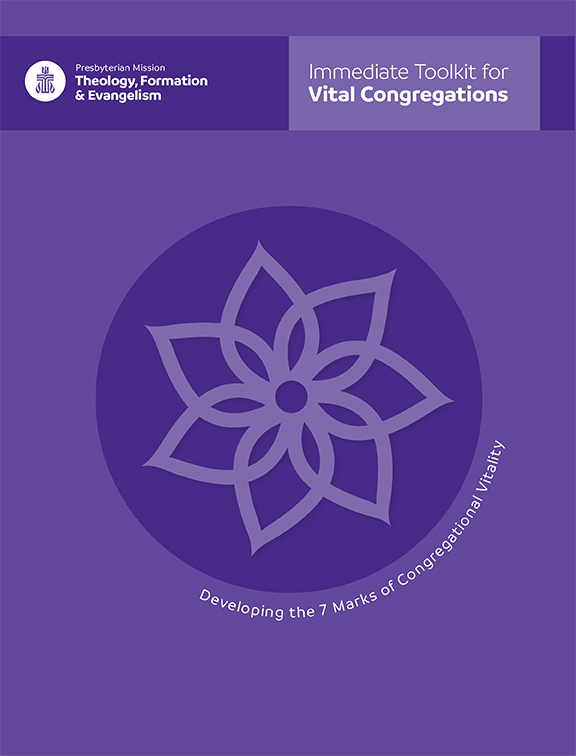 Learn about the life cycle of a worshiping community and the 7 Marks of Vital Congregations in this Vital Congregations Initiative overview. The document also includes survey tools and devotionals to help a congregation discern whether they should join this journey. Print this copy to share with your local church leaders. 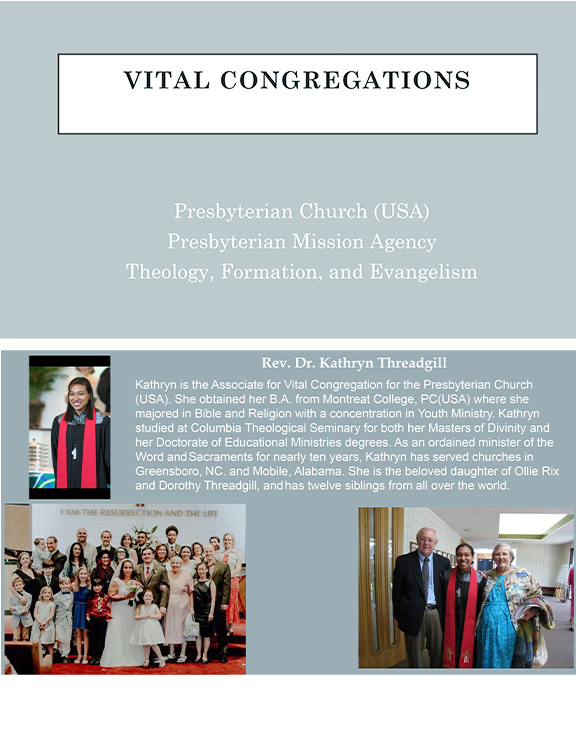 Presentations about the Vital Congregations Initiative by Dr. Kathryn Threadgill, associate for vital congregations in the Presbyterian Mission Agency, were part of the Presbytery of Lake Michigan’s retreat and Stated Meeting in September 2018. See the information she shared in a copy of her workshop handout. 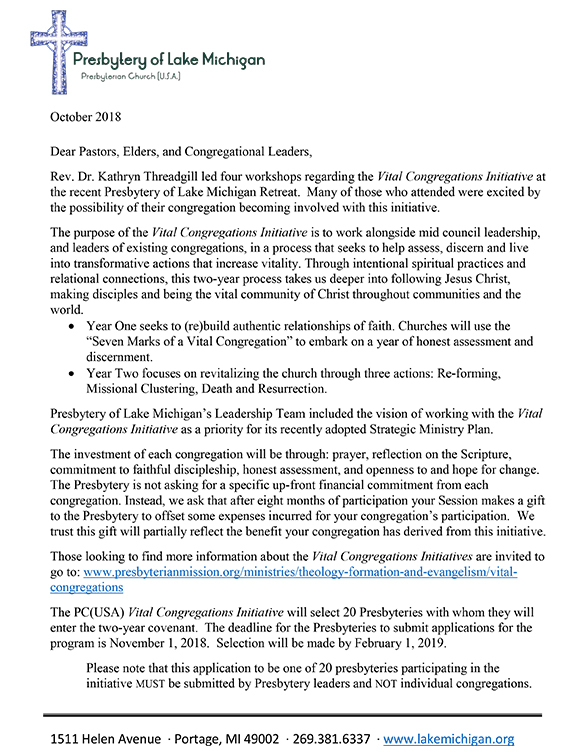 seeking to become one of 20 presbyteries with whom the PC(USA) Vital Congregations Initiative will enter a two-year covenant. As part of its application, PLM must define how many of its congregations wish to enter this intentional alliance. Learn more about the initiative and find an “Intent to Participate” form that must be returned by October 28, 2018.